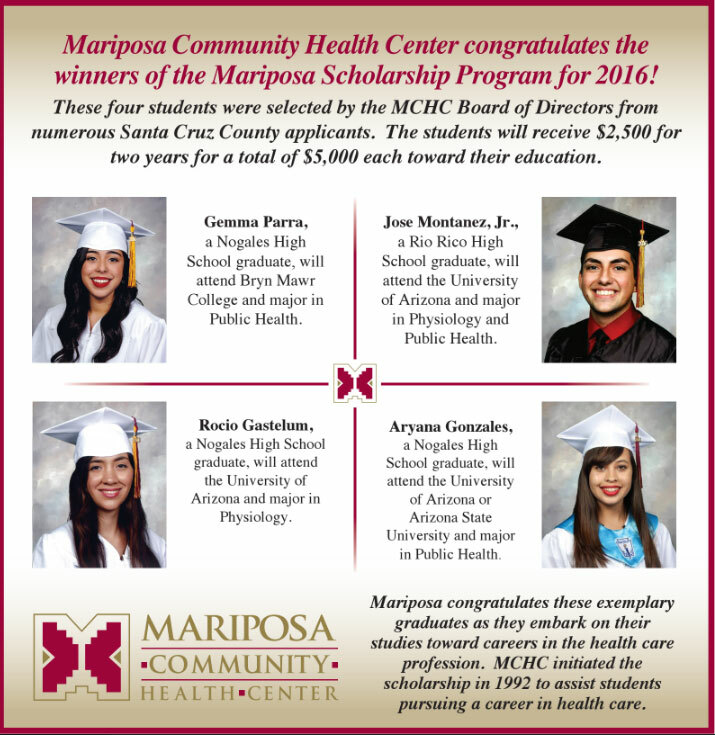 Mariposa Community Health Center congratulates the winners of the Mariposa Scholarship Program for 2016! These four students were selected by the MCHC Board of Directors from numerous Santa Cruz County applicants. The students will receive $2,500 for two years for a total of $5,000 each toward their education. 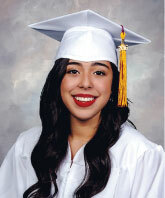 Gemma Parra, a Nogales High School graduate, will attend Bryn Mawr College and major in Public Health. 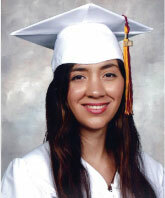 Rocio Gastelum, a Nogales High School graduate, will attend the University of Arizona and major in Physiology. 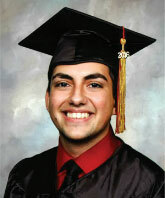 Jose Montanez, Jr., a Rio Rico High School graduate, will attend the University of Arizona and major in Physiology and Public Health. 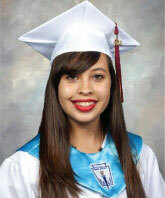 Aryana Gonzales, a Nogales High School graduate, will attend the University of Arizona or Arizona State University and major in Public Health. 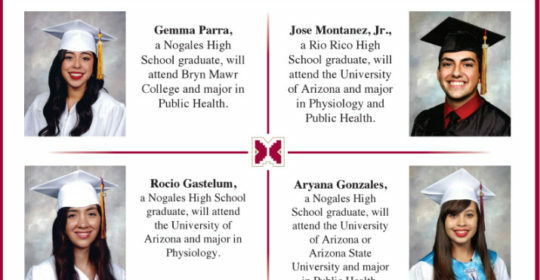 Mariposa congratulates these exemplary graduates as they embark on their studies toward careers in the health care profession. 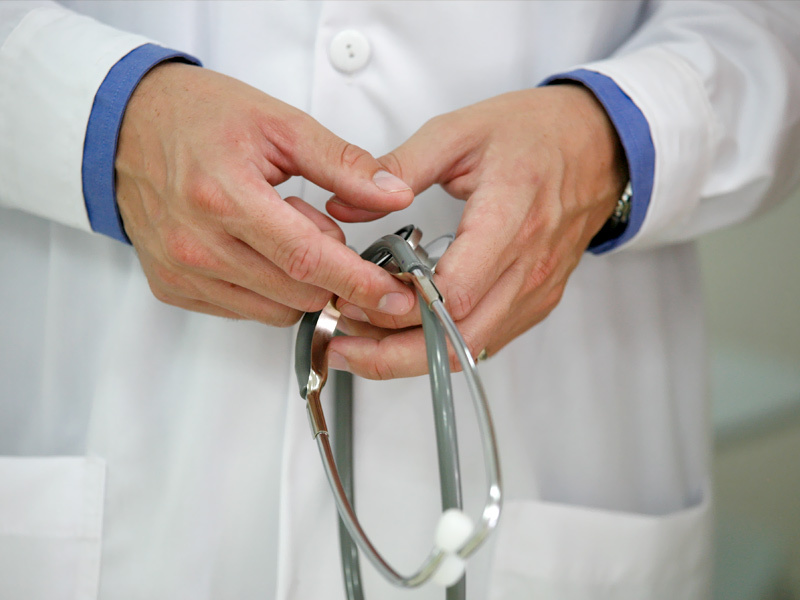 MCHC initiated the scholarship in 1992 to assist students pursuing a career in health care.